Last edited by Red Angel on 03 Mar 2018, 4:43am, edited 1 time in total. I have the CD, but thanks for sharing. Great comp for anyone who has never downloaded it. First time I ever heard Rockers Galore was this disc. Loved nerding out over this as I was really just starting to dive into the Clash. Is that the one where Joe describes playing piano like a three-fingered gorilla? Such a beautifully weird description. Always loved it since I bought the Bankrobber 7”. Strange it never went on a CD until this. 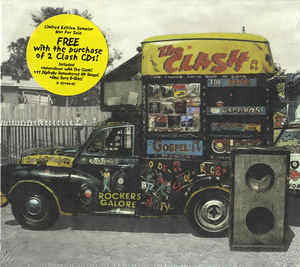 Always felt Rockers Galore was the point where Clash b-sides started going downhill. But cheers for the upload, some interesting looking stuff on there.